Review: Juelz Santana's "God Will'n"
Home>Reviews> Review: Juelz Santana's "God Will'n"
God Will’n is the comeback mixtape that fans have been awaiting from Juelz for years. Juelz proves that he hasn’t missed a step with this project. 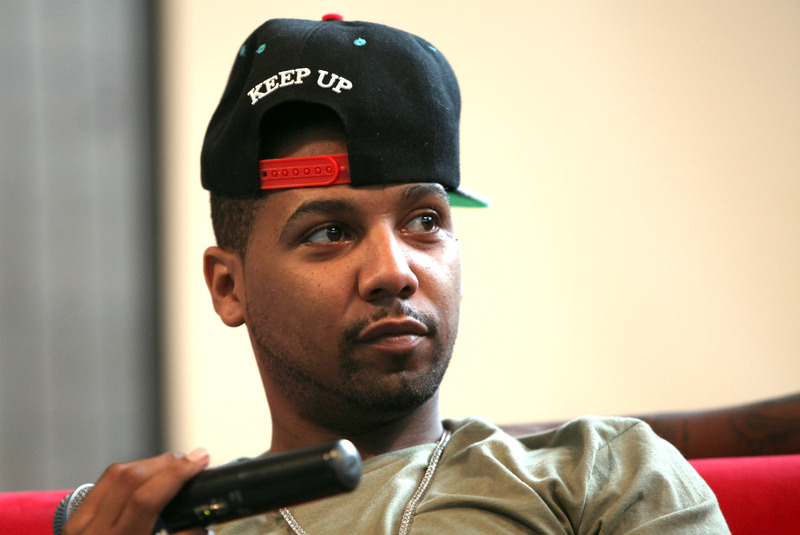 Juelz Santana is back with vengeance and we can only hope that he's here to stay this time. God Will'n is the first mixtape from Santana since Blow, which was a joint mixtape with Lil Wayne. Fans of the Diplomats rapper have been waiting for him to get back on the scene for quite sometime. The Harlem native has promised new material a number of different times, but due to studio raids and other issues, he was never able to follow through on his word. This time around though, Santana delivered just as promised, and his new tape shows his focus and determination to get back on his rap grind. From the start of the tape, Juelz makes it evident that he is going for the jugular and then some. He starts off the tape with a joint entitled “Sho Nuff” where he spits for four minutes with classic NY delivery, over a slowed down beat where he states he is back to claim what is rightfully his. He then transitions into the Jahlil Beats-produced track entitled “Nobody’s Safe.” This joint kind of sums up the mindset that it seems Juelz currently has, which is basically that 'no rapper is safe.' He is back and his peers better take notice. With the beat booming in the background, this proves as the perfect compliment to Juelz’s boastful lyrics. The Dipset rapper also proved that even though he is been away from the game for a little while, he is able to effortlessly work with some of the new cats in rap, as well as take on the new style of beats taking over hip-hop. There is no better example of this than the Rick Ross, Meek Mill and Fabolous-assisted joint entitled “Soft.” With Rick Ross on the hook, and Meek and Fab providing two mean sixteens, Juelz proves that he can do that 'new, new.' Santana really proves himself on this one, as he provides fans with one of his best verses on the tape. The chemistry with previous collaborators and veteran rappers, such as Young Money’s own, Lil’ Wayne, ("Black Out") proves to still be in tact as well. This is seen once more on the stand-out cut, “Turn It Up.” The club-oriented record features Queens native, Lloyd Banks and the beat works extremely well for Juelz and the PLK, making fans even more hopeful of some sort of collabo project between the two. “Both Sides” featuring Lil' Durk and Jim Jones is sure to have you scrunching your face as soon as the beat drops, with Durk providing one of the standout hooks on the tape. “Bodies” featuring Lil' Reese speaks for itself as it was the first single off of the tape, and the title seems fitting as Juelz seems to be gunning for his fellow rappers one by one. Finally, we can't forget one of the best solo joints on God Will'n, “My Will.” Juelz decides to get personal with the listeners for a little bit, as he makes this one of the more serious tracks on the tape. Santana speaks to some of the closest people in his life as he lets them know if it all ended today what he would leave to them in his honor. The smooth Gnyus-produced beat proved to be perfect compliment to his sincere lyrics. The Dipset representative has always been known to have an ear for beats and this project proves he hasn't lost it. It seems everything was carefully picked out with perfect precision, which makes the delay a little easier to stomach. This tape is only the beginning though, as part two of this series is on its way soon. As for this tape, Juelz has not left fans hungry as he may have in the past. The way he was able to incorporate his classic sound with a mixture of what is current in rap should not go overlooked. We'll have to wait to see if he can maintain his momentum with God Will'n Pt. 2. If you haven't heard God Will'n yet, give it a listen below. REVIEWS Review: Juelz Santana's "God Will'n"